China's first space station is heading to earth after they lost contact in 2016. The Aerospace Corp., a nonprofit research company, has released its newest prediction about the derelict spacecraft doom. Tiangong-1 may reenter Earth's atmosphere in early April, give or take a week — which means the dead spacecraft could come crashing down as soon as late March. When it does, extreme heat and pressure caused by plowing through the air at more than 15,000 mph will destroy the 8.5-ton vessel. Not everything may vanish, though. "The thing about a space station is that it's typically got things on the inside," Ailor, who works for The Aerospace Corp., previously told Business Insider. "So basically, the heating will just strip these various layers off. "If you've got enough layers, a lot of the energy is gone before a particular object falls out, it doesn't get hot, and it lands on the ground." Tiangong-1 is a two-room space station for two taikonauts, or Chinese astronauts. It has a volume of 15 cubic meters, or about 1/60th of the volume of the International Space Station (which is about as long as a football field). "It conducted six successive rendezvous and dockings with spacecraft Shenzhou-8, Shenzhou-9, and Shenzhou-10 and completed all assigned missions, making important contributions to China's manned space exploration activities," said a memo that China submitted in May to the United Nations Committee on the Peaceful Uses of Outer Space. By May 2017, Tiangong-1 was coasting about 218 miles above Earth and dropping by about 525 feet a day, the memo said. Its altitude has since plummeted to nearly 155 miles, according to the Aerospace Corporation's latest data, published on February 27, 2018. 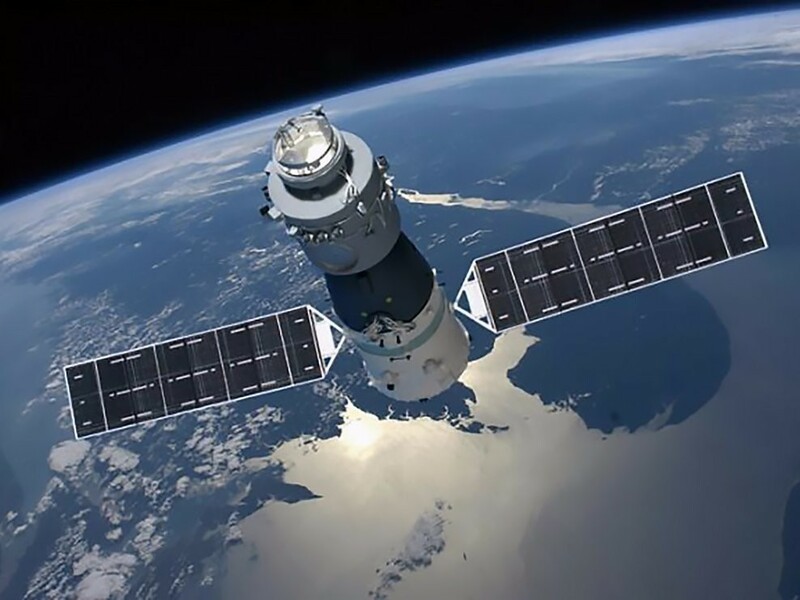 An analysis of the combined effects of solar activity and Tiangong-1's orbital speed, direction, and altitude, as well as other factors, helped the Aerospace Corporation provide its most recent estimate of an early-April de-orbit. Before the big moment, however, the company will refine its estimates as conditions in space change. If anyone is lucky enough to witness Tiangong-1's atmospheric breakup from an airplane, it may look similar to the destruction of the European Space Agency's 14-ton Automated Transfer Vehicle. The ATV was an expendable spacecraft that used to resupply the ISS. Once astronauts and cosmonauts unloaded its supplies, it was filled with garbage and sent careening back to Earth. Ailor says pieces of China's space station are "really unlikely" to hit anyone or anything on Earth. According to The Aerospace Corp.'s website, the probability "is about 1 million times smaller than the odds of winning the Powerball jackpot." Which countries spend the most on space exploration? Where will space technology take us by 2030, and what does this mean for life on Earth?